Weeds can be defined as plants growing out of place and can rapidly populate in ecosystems that do not support their natural enemies. Many methods are being used to keep weeds under control. These include burning them, pulling them out or chopping them down, and treating them with herbicides. Vegetable growers ranked weeds as number one obstacle to organic crop production. In early stages of crop growth, weeds compete at a faster rate than crop seeds for water, space, and nutrients especially in the first 20-30 days of crop growth. Organic growers have been using mechanical cultivation and hand weeding to control weeds. However, frequent soil cultivation decreases soil health and disrupts the ecological system; increases fuel and labor costs, and brings buried weed seeds to the soil surface. Biological control holds much promise for long- term, economical, and environmentally sensitive weed management. What is Biological Control of Weeds? Plants are labeled “weeds” when their natural enemies become ineffective or are nonexistent. In nature, plants are controlled biologically by naturally occurring organisms. Biological control of weeds involves using biological agents that include living organisms, such as insects, nematodes, bacteria, or fungi, to reduce weed populations. By introducing biological control agents, we are attempting to restore or enhance nature’s systems. Using compost as soil mulch (4 to 6 inch (10 to 15 cm)) can be most ineffective in weed suppression. However, composts may vary in their chemical and biological components based on method of preparation and feedstock components. In addition, applications of composts at these quantities can be expensive. As a weed management method, chemically–and biologically–designed compost extracts offer an environmentally friendly biological control approach that complements conventional methods. It helps meet the need for new weed management strategies while protecting soil health. These application of compost extracts that are rich with biological agents on an annual basis will reduce the expression of weeds by reducing the number of weed seeds stored in the soil. Not all composts are created equally, neither are their extract preparations deemed to be containing the biological control agents that target specific weeds. Organic growers, whether they grow vegetables, herbs, berries or native crops, are constantly challenged with weeds that grow at a faster rate than their cash crops. These weeds include a pigweed, lambsquarters, hairy galinsoga, and Canadian thistle. In 2015, I prepared compost piles with diverse feedstock components at varying rates to encourage diversity in microbial community and subsequently produce compost extracts that target various weed species. One compost pile (C1) was prepared at 30 percent brown (woodchips and straw), 50 percent green (leaf mulch, tomato leaf and stems), and 20 percent high nitrogen (whole plant sunflower) and the second compost pile (C2) had similar percentages of high nitrogen but with 50 percent brown and 30 percent green of same feedstock components. These feedstock materials were mixed and layered into 3-foot (91.4 cm) tall compost bins made of 0.5 inch (1.27 cm) mesh galvanized hardware cloth (photo 1). The piles were turned four times as temperatures increased beyond 131°F (55 °C) and below 170 °F (76.6 °C). Cured compost piles were then used to prepare compost extracts by bubbling air into containers that contained compost with deionized water at several dilutions for 24 hours before being tested on weed and crop seeds under controlled conditions. Compost extracts were prepared at 1:2, 1:3, 1:4, 1:5, 1:10, and 1:20 dilutions. Ten seeds per weed species were placed in petri dishes and tested at each dilution in three replications in an incubator at 24°C. Percentages of weed seed germination were assessed five days after initiation of the experiments. Cucumber seeds were used as a model cash crop in these experiments as well. Results showed that compost piles while having similar feedstocks their chemical and biological distribution is dictated by the ratio of these feedstocks (table 1). Only compost extracts with dilutions at 1:3 (compost to water (volume to volume)) were most effective in reducing pigweed weed seed germination under controlled conditions. Compost extract prepared from C1 pile reduced germination of pigweed by 20 percent compared to deionized water at p=0.0032. Similarly, percentage of lambsquarter seed germination was lower in C1 and C2 compost extracts (52 percent, and 57 percent, respectively) but not statistically different from deionized water (65 percent). At the 1:3 dilution, cucumber seeds were not affected as those incubated in 1:2 dilutions (showed severe reduction in root elongation). Results also showed that both C1 and C2 at 1:3 dilutions improved significantly at p= 0.018 cucumber seed germination (100 percent and 87 percent, respectively) when compared to deionized water (43 percent). While these results verified a proof of concept of using chemically-and biologically- designed compost extracts to reduce the expression of weeds, it was necessary to take this concept one step further and assess its usefulness under field conditions. A follow up field trial was conducted in spring 2016 to assess whether the applications of compost extract C1 at 1:3 dilutions will be useful to suppress the expression of weeds when compared to soil cultivation (standard grower’s treatment). In a randomized complete block design (RCBD) with four replications, two compost extract application treatments were compared to the grower’s standard treatment (cultivation between rows of crop plants). The first compost extract application treatment is referred to as pre- and post-planting (plots received compost extracts before and after planting the cash crop), while the second treatment is referred to as post-planting treatment (compost extract was only applied after the cash crop was planted or seeded). When compost extracts were applied on plots dedicated to compost treatments, the grower’s standard plots were treated with water. The lands was previously cropped to cereal rye cover crop. The soil was cultivated, disked and packed two weeks before planting cabbage. Cabbage ‘Tender Sweet’ seedlings were established in the greenhouse in March 2016. Four-leaf stage seedlings were transplanted into two-row beds, spaced 30 inches (76 cm) between rows and 18 inches (46 cm) spacing within rows on April 19, 2016, five days after bed preparation. Cabbage transplants were covered with row covers for a month. At harvest, cabbage heads were cut at the crown level and yield was recorded. Results showed that weeds in cabbage beds were dominated by broadleaf weeds than grasses early in the season (Photo 2). Broadleaf (BL) weeds included mainly Pennsylvania smartweed, Canadian thistle and ragweed. Other BL weeds such as velvet leaf, henbit, chickweed, clover, alfalfa were of lower densities. 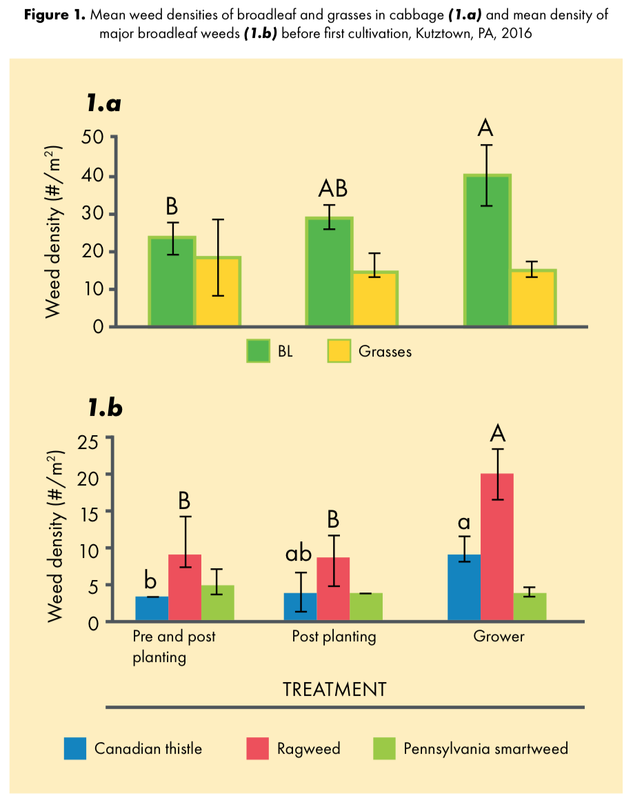 Total BL weed density in plots that received pre- and post-planting compost extract applications were 43 percent lower than with cultivation (i.e. the grower’s standard practice (Figure 1.a). Canadian thistle weed density was reduced to 65 percent in plots that received two applications of compost extract (pre- and post-planting) when compared to cultivation (grower’s standard) treatment. Similarly, ragweed density was reduced by 57 percent when plots received two applications versus one application (post-planting) of compost extract. The compost extracts were effective on broadleaf weeds rather than grassy ones. A month after the first observation and before the second cultivation, broadleaf weed densities were assessed in each treatment. On June 13, 2016, Canadian thistle, ragweed, velvet leaf and pennycress were the major weeds. Canadian thistle and velvet weed densities were reduced by 93 percent and 73 percent, respectively in plots that received the designed compost extract C1 applications when compared to those in grower’s treatment (Figure 2). These designed compost extract C1 did not reduce seed weed expression and growth of ragweed and pennycress weeds. Cabbage yield was greater in treatments that received pre- and post- compost extract applications, followed by those with post-planting application and significantly different from those produced in grower’s standard treatment (Figure 3). Bars with same letters are not statistically different p=0.05. In another experimental trial the compost extract was assessed for phytochemicals at Dr. T. Casey Barickman’s laboratory at Mississippi State University. These reason behind testing it for phytochemicals is to learn whether the compost extract in question has any chemical that may interfere with weed germination. Results showed that the prepared compost and its extract at 1:3 dilution did not contain any phenolic acids or flavonoids but it only contained chlorogenic acid. Chlorogenic acid is an important intermediary compound in plant metabolism and has a broad range of antimicrobial properties. It is a phytochemical and antioxidant found in high concentrations in coffee and sunflower. These presence of chlorogenic acid in this compost extract can be explained by the inclusion of sunflower plants in the feedstock when the compost pile was prepared. Mean value of chlorogenic acid in compost C1 samples was 0.235mg/g dry weight. To learn whether the chlorogenic acid may be impacted with heat, samples of autoclaved compost extracts were compared to non-autoclave ones. Mean value of chlorogenic acid in non-autoclaved compost extracts was 1.680 mg/g dry weight and not different from those in autoclaved samples (1.623 mg/g). 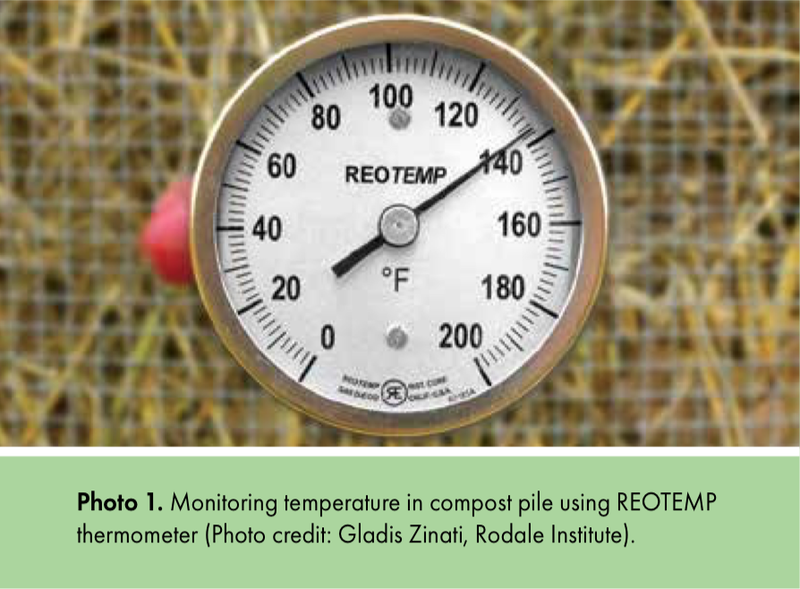 In summary, the technology of and using compost extracts with applying chemically-and biologically- designed compost extracts at 1:3 dilutions during the vegetable growing season can serve as an alternative tactic to cultivation and hand weeding and as a potential biological method for suppressing weed expression without impacting crop yields. Weeds vary in time of emergence, and thus multiple applications will be required throughout the growing season to ensure suppression of weed seeds. Designing and using compost extracts with chemistry and biology in mind, growers can now conserve soil health, minimize crop losses to certain weeds (such as Canadian thistle and velvet leaf), and with time, build soil capacity with diverse microorganisms and phytochemicals. This technology is safe for applicators and consumers. Future research work will expand on identifying the biological communities and learn which major bacterial and fungal organisms are playing the role of suppressing weed germination. In addition, more research is needed to evaluate and validate the use of compost extracts with varying feedstock components for suppression of other annual and perennial broadleaf weeds. 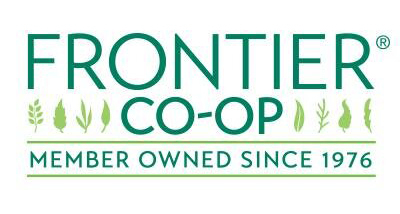 This material is based upon work supported by Frontier Natural Products Cooperative, a Northeast SARE Partnership Grant, under Grant Agreement Number ONE 16-278, and by Organic Farming Research Foundation (OFRF). This article first appeared in the March/April 2018 issue of Progressive Crop Consultant’s Magazine. Gladis Zinati, Ph.D. is the associate scientist and director of the Vegetable Systems Trial at Rodale Institute.